At the talks in Belgrade on Thursday, the Russian and Serbian presidents are due to discuss the situation around Kosovo, which has deteriorated of late, Kremlin Aide Yuri Ushakov told reporters. “The Kosovo issue will be discussed. The situation around Kosovo has deteriorated over a series of provocations by the Kosovo Albanians. 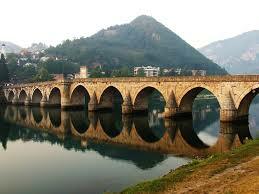 This is the introduction of 100% custom duties on goods from Serbia and Bosnia and Herzegovina. This is the laws passed by the so-called Kosovo parliament in December on the transformation of Kosovo’s security forces into a full-fledged Kosovo army, what is a rude violation of the UN Security Council Resolution 1244,” Ushakov said. According to Ushakov, at the talks Russia is planning to outline its stance on this issue. “It is clear and consistent and based on international and legal frameworks, including the ones outlined in this Resolution 1244. We will certainly back a satisfactory mutually acceptable decision, which will be reached by Belgrade and Pristina, but we believe that any solution should be in line with international law, and approved by the UN Security Council and should be indeed fulfilled,” Ushakov said. The presidents will discuss extension of the TurkStream gas pipeline to Serbia, he added. “This issue will be discussed. Nothing will be signed in this regard so far,” Ushakov said. Putin is due to hold talks with leader of Bosnia and Herzegovina Milorad Dodik during his official visit to Belgrade on Thursday, Ushakov told reporters. “During the visit the Russian president will also meet with Chairman of the Presidency of Bosnia and Herzegovina Dodik, who has been invited for the reception [after the Russian-Serbian talks] and this conversation will be held after this reception,” Ushakov said. Ushakov said on Wednesday he was confident that Serbia will ensure the security of the Russian delegation during the visit to Belgrade on January 17. The Kremlin aide said he knew from media reports about the detention of an extremist in Belgrade who had allegedly plotted an attempt on the life of Russian leader Vladimir Putin. “The Serbian side assures us that it is taking all the measures for ensuring the security of the visit and the corresponding Serbian services are in close contact with our relevant agencies. I am confident that the security of our delegation will be ensured and there will be no disruptions,” Ushakov said. The Serbian newspaper Blic reported earlier on Wednesday, citing a source in special services, that representative of the radical Islamist organization, 21-year-old Armin Alibashich was detained in the town of Novi Pazar (290 km south of Belgrade) in the country’s south on January 13 on suspicion of plotting a terror attack. Some Serbian tabloids later linked the detention with the upcoming visit by Russian leader Vladimir Putin to Belgrade. The official Serbian authorities later did not confirm this information. A TASS source familiar with the matter said on condition of anonymity that the extremist’s detention was not linked with the upcoming visit by Russian President Vladimir Putin to Serbia on January 17, TASS reported.